A welcoming place to know, love and serve God. Project Blessing does this by receiving referrals from FIA or from the pastor of your church. 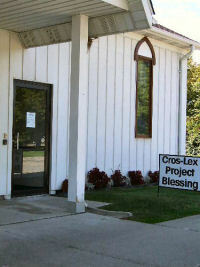 Project Blessing is organized and run under a board of directors who come from our local churches in this area. Seniors Being Hungry is a Nationwide Epidemic. Nearly one in every six seniors in America faces the threat of hunger and not being properly nourished.